My kids love being able to use products like mom and dad, especially Bri. She loves to get into my hair products and make up, I swear she thinks she’s already a teenager. 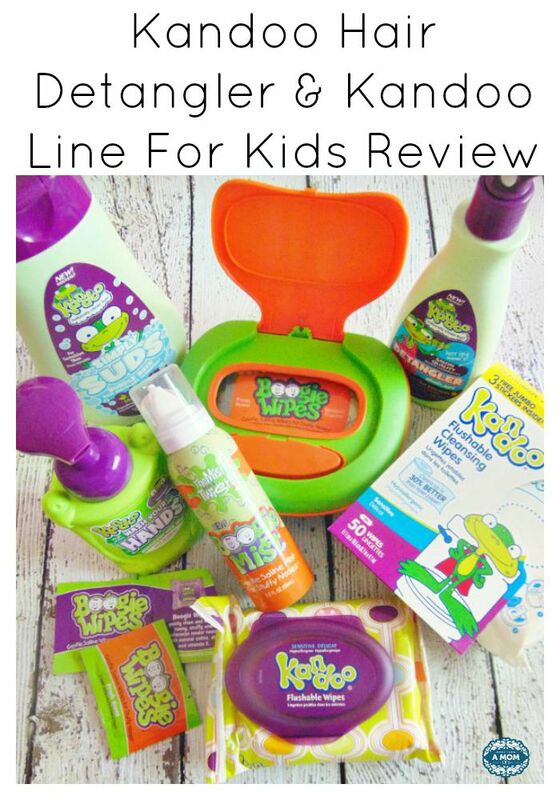 Kandoo contacted me to test out a few of their products and all the kids were thrilled to test them out. I couldn’t wait to test out the Kandoo Hair Detangler. Bri has the thickest hair and she likes to keep it long, I am a little jealous pre kids that’s how my hair was it and I remembered how hard it was to maintain. It knots up very easily especially when she is done with her swimming class. I know if I do not brush it through at least a few times a day we are in for some struggling the next morning before school. She is trying to maintain it herself but just can not get the knots out in the back and has struggled with mommy still doing her hair. She’s 8 you we’ve got that pre-teen attitude going on and having me help just is not working for her. 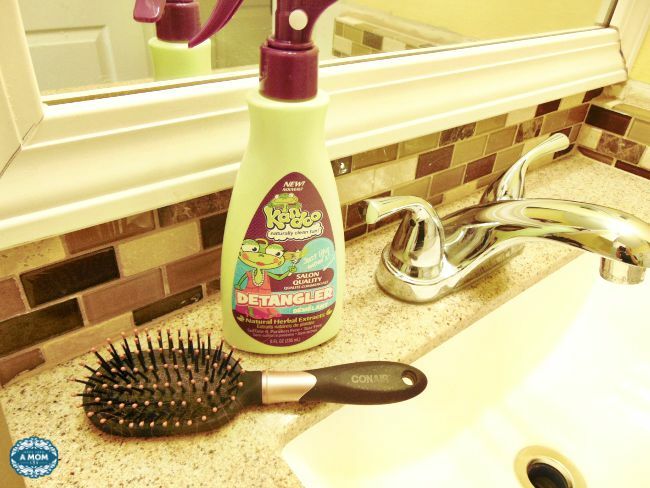 When we received the Kandoo Hair Detangler in the mail we made a deal. She could stat to brush out her own hair as long as I sprayed the Kandoo Hair Detangler in first. 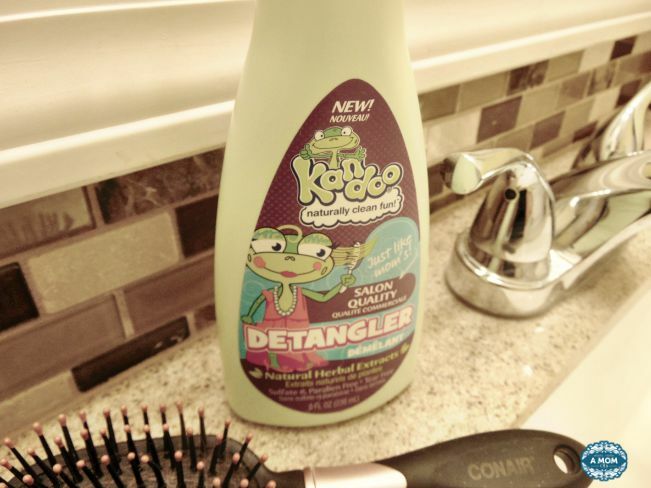 I was pleasantly surprised that the Kandoo Hair Detangler was not greasy at all. Most products tend to weigh down her hair and the texture in her hair is like mine. Even though its thick it gets greasy fast depending on the products we use. She was able to comb through her hair much better than she had before. The smell is delightful too. It’s a light floral scent. Made with natural herbal extracts the Kandoo Hair Detangler truly moisturizes and conditions safely to use on the younger kids as well. In our package we also received a few other goodies. My sons immediately went for the hand soap. They actually wanted to make sure they washed their hands throughout the day. 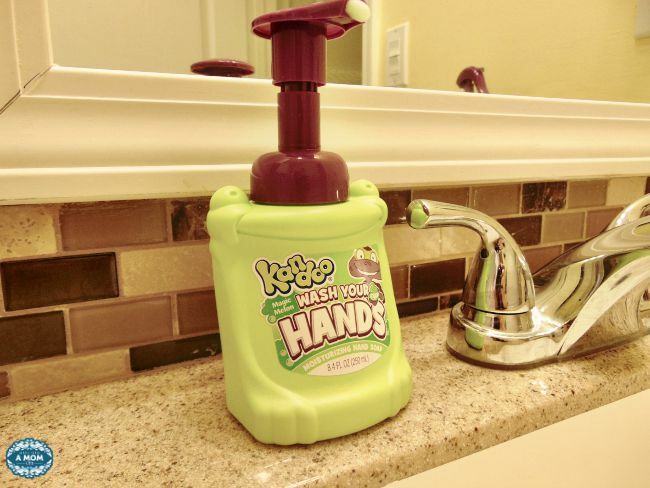 Boys are icky so I was not going to stop this and will keep the Kandoo hand wash in their bathroom to keep them excited about washing their hands. Whatever works right. Their hand wash is made with fruit extracts and vitamin E to keep that young skin moisturized. You can find all the Kandoo products at retailers such as Target, Walgreens and Amazon. 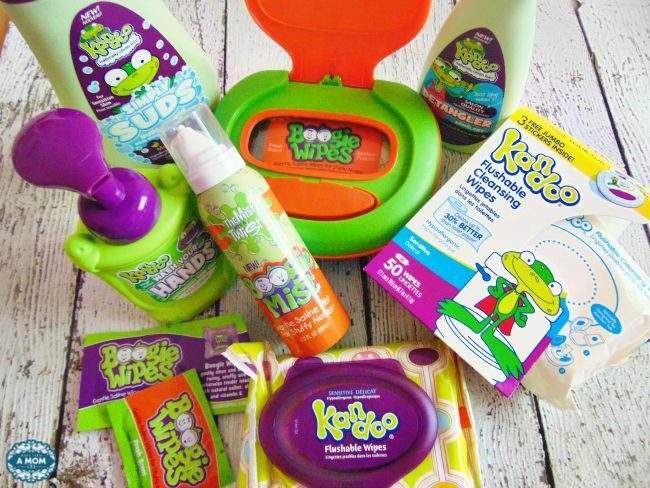 Or go directly to the Kandoo website for the entire line of products. While there be sure to print a coupon for $.50c off any Kandoo product.